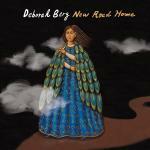 Deborah Berg is a New York City-based performing songwriter and teacher whose distinctive voice, songwriting talents, and warm teaching style characterize her 25 year musical career. 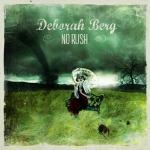 Deborah Berg is proud to be an official Martin Guitar endorsed artist. 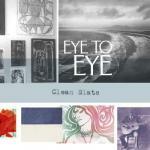 This latest CD, No Rush, soothes the senses and inspires intimacy. 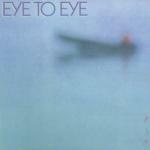 She previously recorded two albums with Eye to Eye, produced by Gary Katz (Steely Dan). No Rush was recorded with producer/studio owner/bass player Ken Rich at Grand Street Recording in Brooklyn, New York. A collection of ten original songs that inspire dancing close, No Rush features these fantastic musicians: John Putnam, Andrew Sherman, Frank Vilardi, Richard Hammond, Wes Corbett, Antoine Silverman, Payton McDonald, Chris Eminizer, Clark Gayton and Satoru Ohashi. 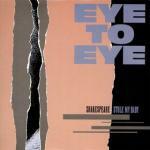 In the 1980's Deborah and British music composer, Julian Marshall, formed the duo Eye to Eye and recorded two classic albums with Warner Brothers: "Eye to Eye" and "Shakespeare Stole My Baby," both produced by Gary Katz (Steely Dan). In 2006, the duo recorded a third independent CD: "Clean Slate" produced by Rhett Davies (Roxy Music). 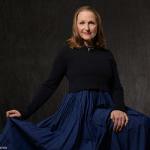 Deborah has published and written over 50 original and co-written songs. 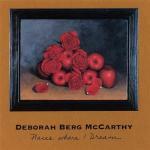 In 1999, she recorded and produced her first solo album, "Places Where I Dream." I wrote this in the midst of raising two smart and willful teenage boys in downtown New York City. Do they remember what it's like? All you can do now is wait, wait, wait. My homage to classic country lyrical twists, where the story you think you're hearing ends differently than you thought it might. The one you're holdin' when did she waltz in? Why we wish and dream? What is there to find out there? A lonely woman talks to her missing lover asking if he may finally return to her, maybe tonight. Will I hear your soft sigh? Love compared to Fine Art that leaves a strong, physical impression. Germinating seeds need specific conditions in their own time to sprout and grow, as does self awareness. A country ballad to dance close to. Remembering the little things about a female loved one and realizing how powerful their memory is. A quiet, intimate song of personal loss and spiritual connection, sung to the one who has gone. now we've got this distance between us? Am I coming through, do you know I keep trying to reach you? Round and round, can you hear, hear me now? Somehow a Bossa Nova captures the sights and sounds of Paris! Upbeat song of love for couples who have stayed close woven through the years. This is a love that's lasted and keeps us warm at night.